held in the 15th & the 16th of February, 2017. The workshop is linked to a forthcoming themed issue of "The international Journal of Business and Society" (indexed by Scopus). Business Administration, Applied Statistics, Econometrics, Economics, Management, Marketing, Finance, Accounting, HRM, MIS, Leadership, Innovation, Big Data Analysis, Efficiency Analysis, Structural Equation Modelling, Partial Least Squares, Measurement Error Models, Organizations Strategy. Article submission: No longer accepting submissions. Please regularly visit www.afu.ac.ae for announcements on upcoming conferences. Prof. Amjad D. Al-Nasser, Al Falah University, Dubai. Dr. Mohanad Halaweh, Al Falah University, Dubai. Dr. Reneh Ramsis, Al Falah University, Dubai. Dr. Ezzet Alomari, Al Falah University, Dubai. Prof. Khalifa Jaber, Al Falah University, Dubai. Prof. Attiea Marie , Al Falah University, Dubai. Prof. Mohammed Al Rawash, Yarmouk University, Jordan. Dr. Enrico Ciavolino, University of Salento, Italy. Dr. Tamer Darwish, University of Gloucestershire, UK. Dr. Ashraf Jahmani, Al Falah University, Dubai. Dr. Islam Faisal, Al Falah University, Dubai. Dr. Mohamad Khan, Al Falah University, Dubai. Dr. Ijaz ur Rahman, Al Falah University, Dubai. 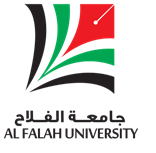 Dr. Panagiotis Kokkalis, Al Falah University, Dubai. Contact: No longer accepting submissions. Please regularly visit www.afu.ac.ae for announcements on upcoming conferences.